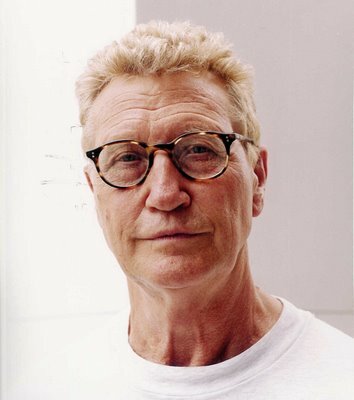 Derek Boshier was central to the development of Pop Art in Britain in the 1960s, together with fellow artists at the Royal College of Art (RCA) such as Peter Blake, R.B. Kitaj, David Hockney, Peter Philips, Allen Jones and Pauline Boty. Unlike many RCA Pop artists who looked to American popular culture as a positive source for a new form of art, Boshier was concerned with the socio-political issues of globalisation, American imperialism and mass media. He interrogated the language of advertising and the media; examining the way in which these forms of communication created desire and influenced the public. Throughout his highly relevant practice, Boshier has continued to explore and critique the language and media of popular culture. Boshier works in a variety of different media including film, photography, drawing, installation, printmaking and sculpture: while continually exploring topical issues and cultural iconography. The artist famously created album cover artwork for The Clash and David Bowie. In his Magazine series, Boshier created works that either involved the invention or reconfiguration of magazine covers. By painting, transforming and creating news imagery, the artist draws attention to the fact that the mass media itself is not objective fact, but a creative construction, weighted with cliché and rhetoric. Lee Harvey Oswald, a blown up cover of LIFE magazine (21 Feburuary issue, 1964) and Media News Daily, are two large-scale acrylic works on paper, that examine the pervasiveness and manipulation of news and mass media. There are only four works in the Magazine series, making Lee Harvey Oswald and Media News Daily rare and iconic examples of Boshier’s expansive and original practice. Boshier's works are in public collections of renowned art institutions including the Museum of Modern Art, New York, British Council, London, Tate Gallery, London and Victoria & Albert Museum, London.